Coffee – A Squash Coach’s Best Friend! 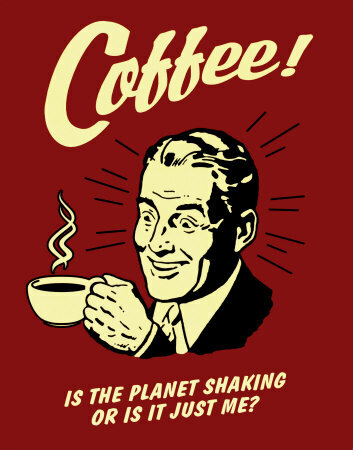 A standard part of my Sports Nutrition spiel whether I am teaching a Coaching Certification Course or speaking to junior squash campers is the tongue-in-cheek promotion of coffee consumption. I enjoy the part of my talk because the common perception appears to be that coffee is “bad for you”. Enhanced endurance performance (a small percentage) through the glycogen-sparing effect of caffeine – caffeine enhances fat utilization during endurance-type events and postpones the need for the body to increase reliance on using muscle glycogen (sugar stored around the muscle). Coffee is a great source of anti-oxidants – better than a kiwi! 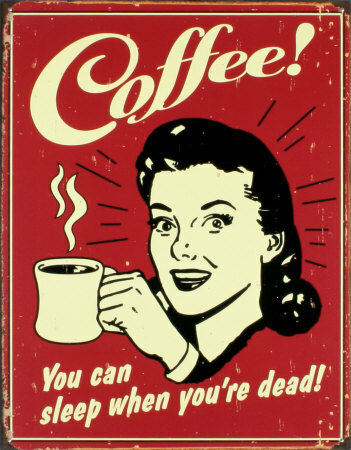 Coffee can ward off depression – suicide rates are lower amongst coffee drinkers. 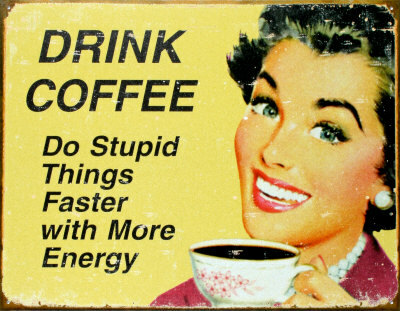 Coffee improves simple reaction time, mental alertness, and short-term memory – that should be good for squash no? Coffee has recently been shown to have a possible effect on preventing certain cancers. The day after my coffee talk at the Premier Performance Squash Training in Mercersburg, PA this summer, Engy Kheirallah said she wanted to give pre-match coffee a try and asked me to make her a shot of espresso (I had a machine in my room) before her exhibition against two of the male pros (tag team format) – needless to say she won with little difficulty:) . You can check here for the video to be posted in the next couple of weeks. Should a squash coach or their players consume coffee to improve their performance? The purpose of my coffee talk and this post is to encourage players and coaches to be thoughtful about their training and nutrition – and not just accept advice uncritically. Here is a pretty good publication on the use of caffeine from the Australian Institute of Sport: AIS Caffeine Fact Sheet, and talking about coffee is a great lead-in to discussing all aspects of nutrition and supplements. Here is the latest (2009) and best position paper on sports and nutrition – a combined effort of the Dietitions of Canada, the American Dietetic Association, and the American College of Sports Medicine: Sports Nutrition 2009. You will find that it is pretty conservative in its approach, since it is based on “hard” sport science. This entry was posted on Friday, August 28th, 2009 at 7:23 PM and is filed under Nutrition. You can follow any responses to this entry through the RSS 2.0 feed. You can leave a response, or trackback from your own site.